Pranav Misri is a 2nd year student in Materials Engineering. 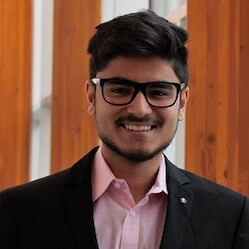 After working as a junior member of the vessel team in his first year at UBC, Pranav rejoined Chem-E-Car as co-lead of the Research-Design-Workshop Team. He is also currently enrolled in the Research Initiative Program under Professor Edouard Asselin's guidance working in labs assisting upper year Materials Engineering students with various projects.